Jewelry gift guide: $5,000 to infinity. - Diamonds in the Library. You are here: Home / Jewelry / Bracelets / Jewelry gift guide: $5,000 to infinity and beyond. Jewelry gift guide: $5,000 to infinity and beyond. 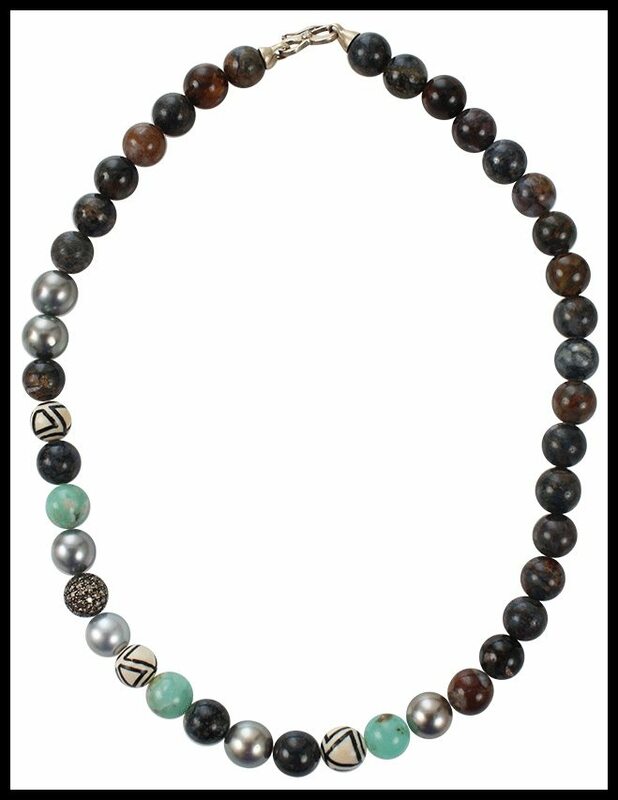 Welcome to the final edition of Diamonds in the Library’s jewelry gift guide! Today we look at pretties starting at $5,000 and going to infinity and beyond! The ultimate dream wishlist. I’ve been excited for this one. To revisit the jewelry gift guide for another price range, please click here: under $50, $50–$100, $100 – $250, $250 – $500, $500 – $1,000, $1,000 – $5,000. Kimberly McDonald 18-karat blackened white gold, emerald and diamond earrings ($35,800). 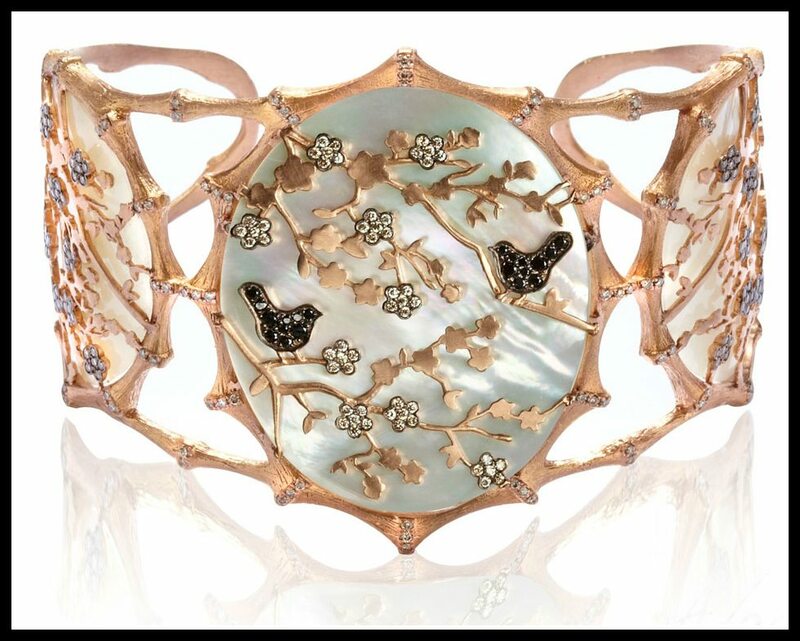 Annoushka Dream Catcher cuff with 18k rose gold, diamonds, mother of pearl and touches of black rhoduim (£15,000). 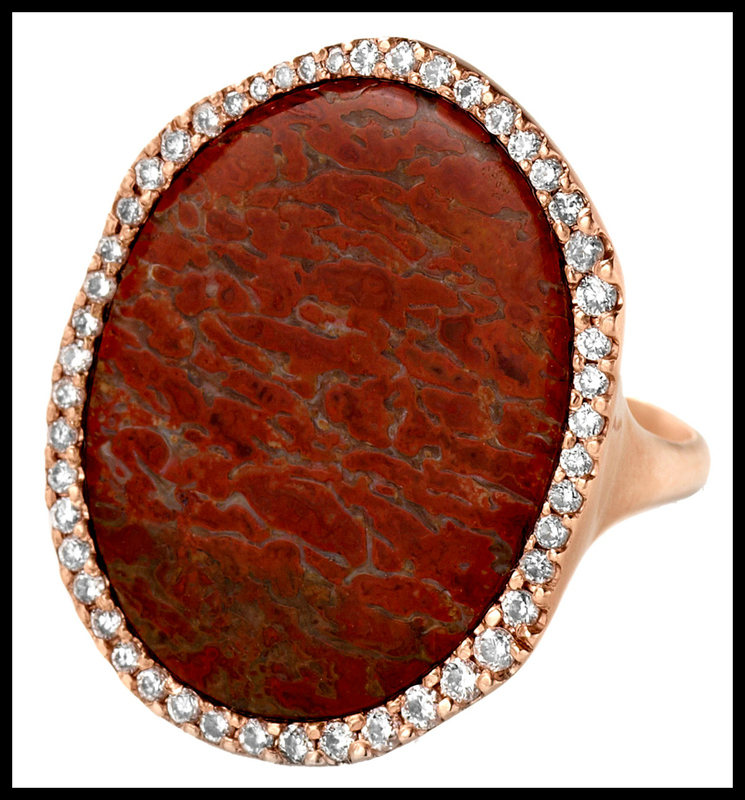 Red Fossilized Dinosaur Bone & Diamond Oval Ring by Monique Péan ($9,975). Looking for a unique gift? This one is so cool it seems like it shouldn’t even be allowed. 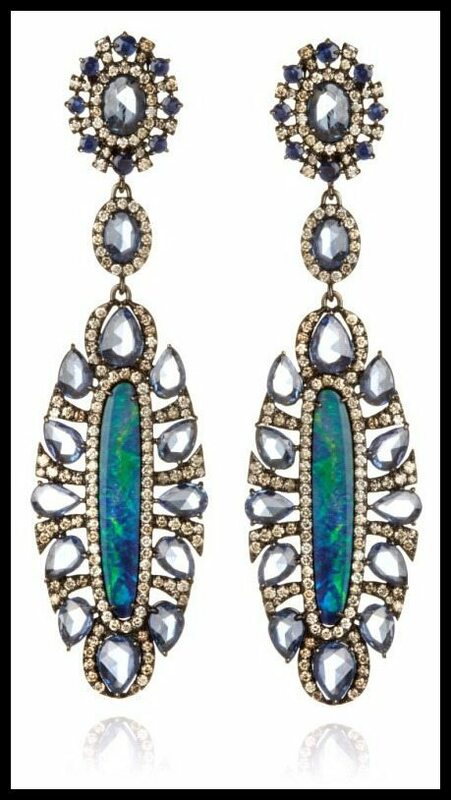 Sutra Opal and Sapphire Earrings (£14,800). 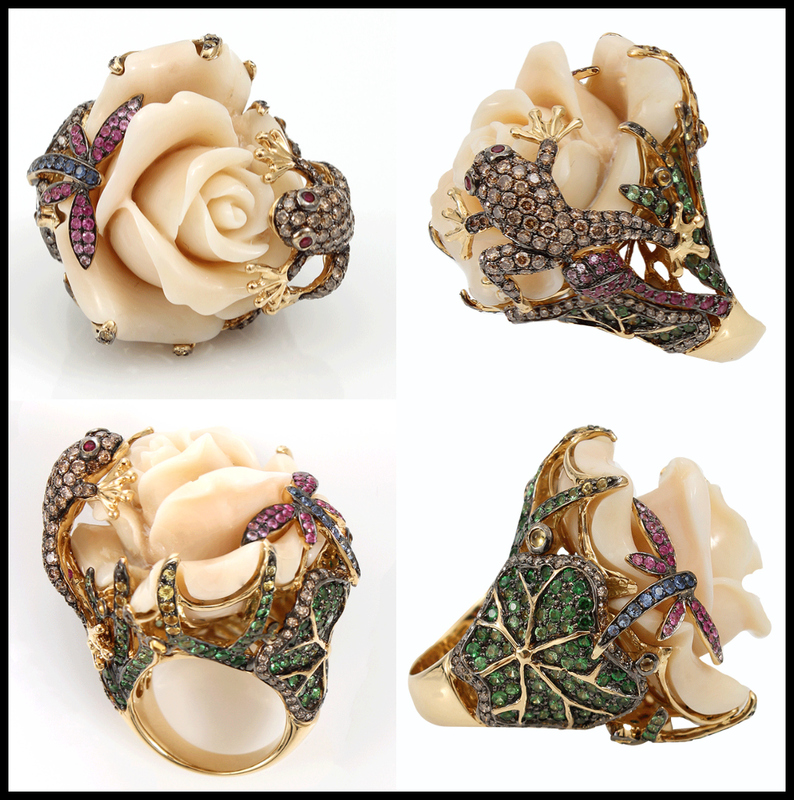 Wendy Yue Carved Agate Flower Ring ($18,880). Monique Pean Pietersite and Fossilized Woolly Mammoth Necklace ($7,790). Theo Fennell Green Beryl Rainforest Opening Ring (POA). 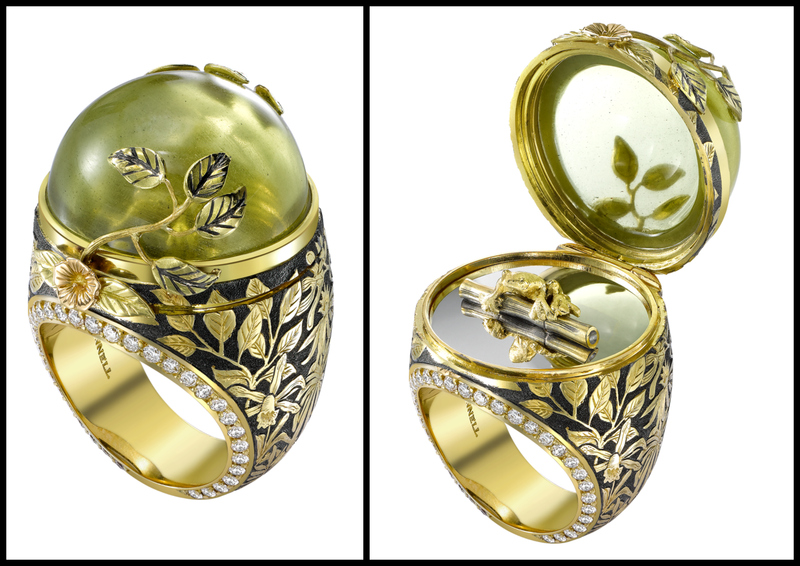 Theo Fennell’s Masterworks’ rings are some of the most intricate and beautiful art objects I’ve ever seen. Kara Ross New York Jet “Monogram” Cuff with Diamonds and 18k Gold ($22,500). This personalized cuff oozes bold Deco glamor in a chic, modern way that totally floats my boat. Mattia Cielo Rugiada Diamond Long Cascade Ring ($7,600). For when you want your finger to look like a shooting star. 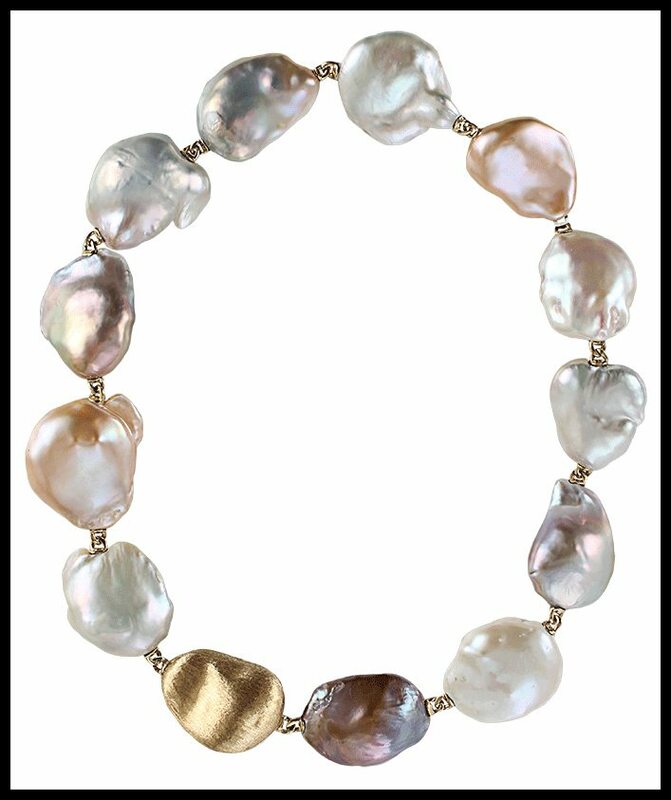 Yvel Souffle Baroque Pearl Necklace ($15,920). I’m not normally someone who gets worked up about pearls, but these beauties are another matter. 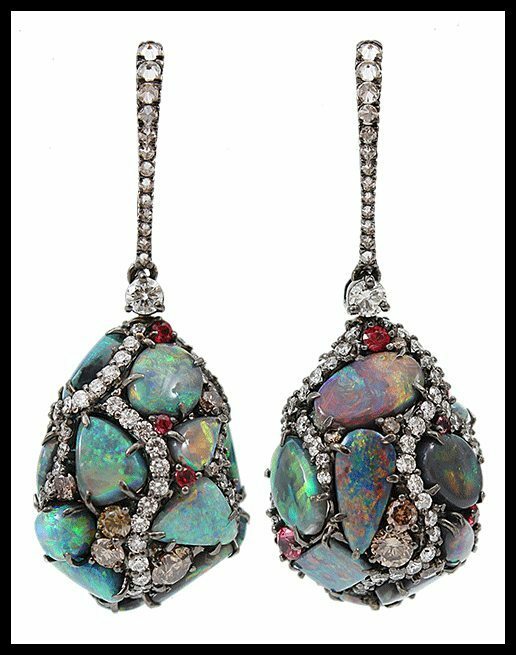 Arunashui Black Opal Egg Drop Earrings ($36,600).